HyperX, the Gaming focused brand of Kingston Technology has recently announced they will be expanding upon their existing lineup of high frequency memory modules with the HyperX FURY DDR4 DIMM and HyperX Impact DDR4 SODIMM product lines. FURY DDR4 DIMMs and Impact DDR4 SODIMMs both offer automatic Plug N Play overclocking functionality. 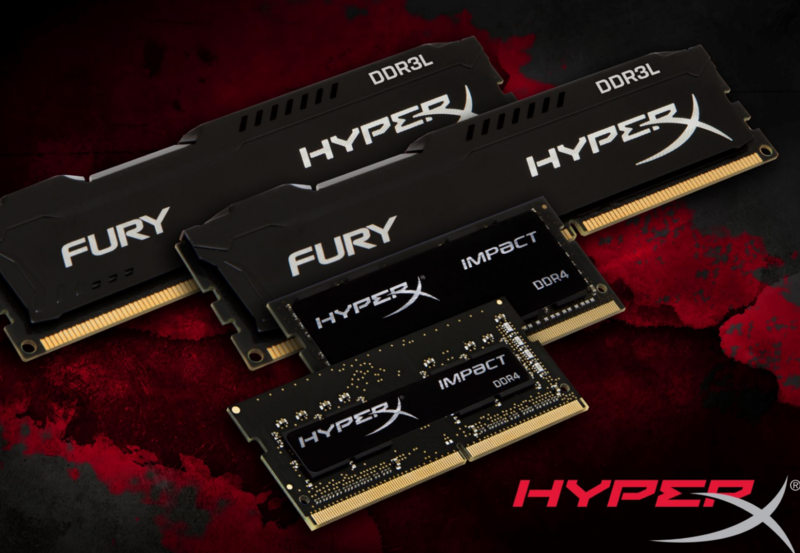 FURY DDR4 is now available up to 3466 MHz and Impact DDR4 is now available up to 3200 MHz. Both product lines are available as single modules and as various kits configurations from 8 GB to 64 GB. 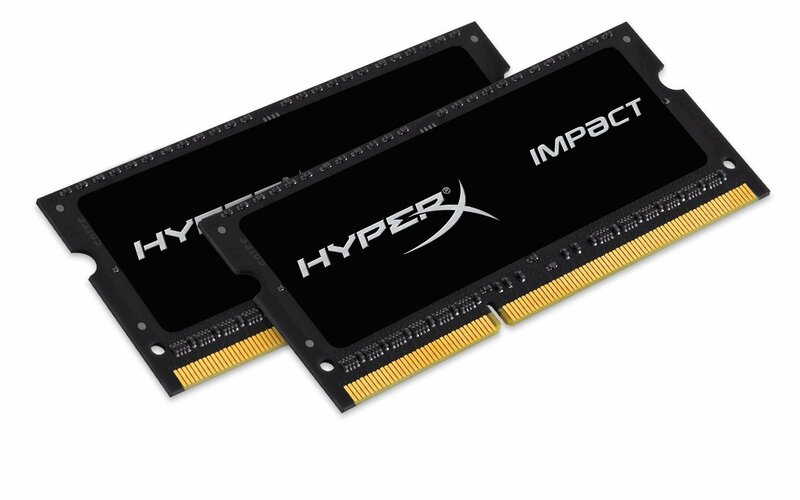 HyperX Adds More Variety, Higher Speed Memory. HyperX is also expanding its Impact DDR4 SODIMM family with new higher speeds in capacities up to 16 GB modules and kit configurations up to 64 GB. Voltages are based on standard 1.2V values, and support XMP profiles for easy overclocking. Upgrading using the Plug N Play feature allows for automatic overclocking to the highest published frequency within the system speed allowance. Adrien Viaud, EMEA Field Application Engineer, HyperX. While these 3466MHz kits on desktop Fury branded kits is as about as fast as most enthusiasts would need at this point, it’s still way behind some of G Skill and Corsair’s offerings of 4600MHz+, This still is nice to see them updating the lineup with what I can assume is SK Hynix memory although I’m not too sure, and for anyone not trying to hit 5GHz 3466MHz is plenty but these timings leave a bit to be desired, unless these are priced very competitively current kits from other manufacturers are hitting CL16/CL17 regularly on 2x8GB 16GB kits.